Love FREE Christmas printables? 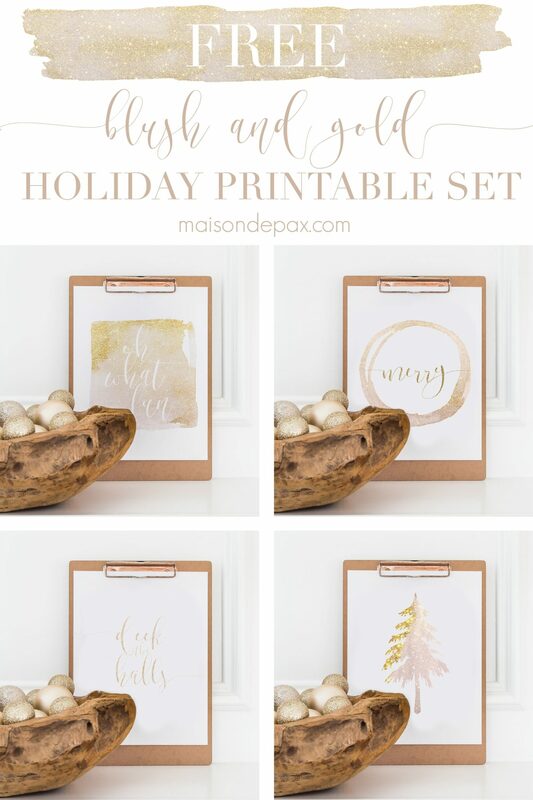 Get this sparkly gold and blush Christmas printable set (with 4 coordinating printables!) plus 29 other free holiday printables! But this year I told him I was changing it up. Not because the beauty or meaning of Christmas has changed (it’s still about God and sinners reconciling, no matter how many jingle bells and decked halls are thrown in there! ), but because I was inspired by the blush and rose golds from last year’s Christmas decorating. 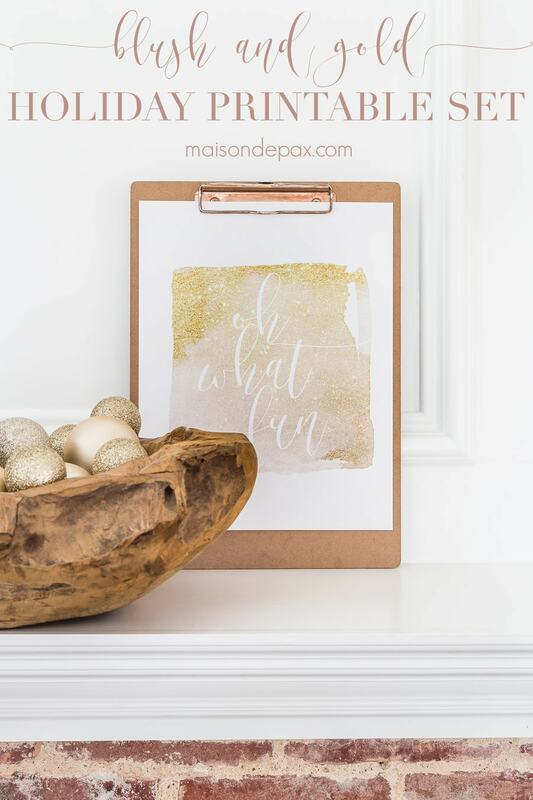 So I created not just one, but FOUR glittery gold and blush printables. 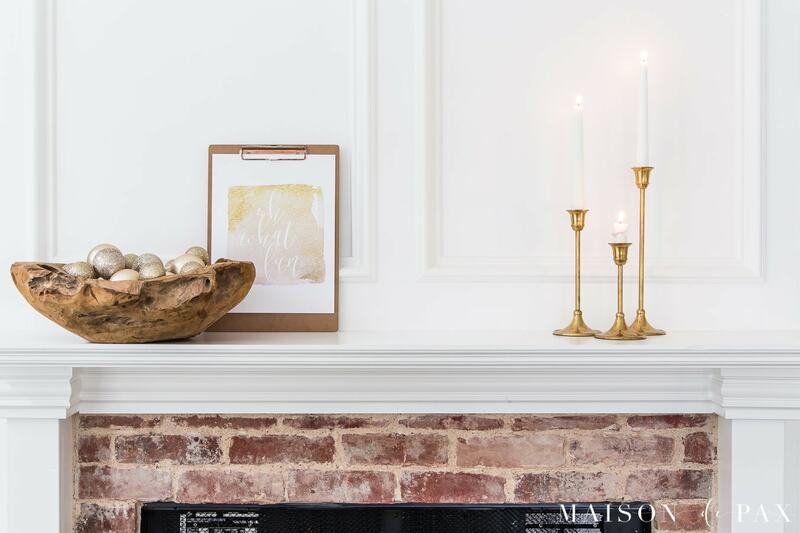 I used only one on my mantel (feeling the need for simplicity here, y’all! ), but you could do all four in a grid, hang a trio vertically or horizontally, or pick your two favorites to hang on either side of a wreath or doorway. Endless possibilities! Just a word of advice: I did print them at my local print shop (nothing fancy, just $0.39 per page or something), since I don’t keep colored ink in my printer at home anyway. I do think that the print shop’s colored ink did an excellent job of making the pale sparkly colors really shine, though. So if you aren’t happy with the look from your own printer, you might try uploading it to your nearest FedEx or Staples or whatever is convenient. Please remember that these are for personal use only! 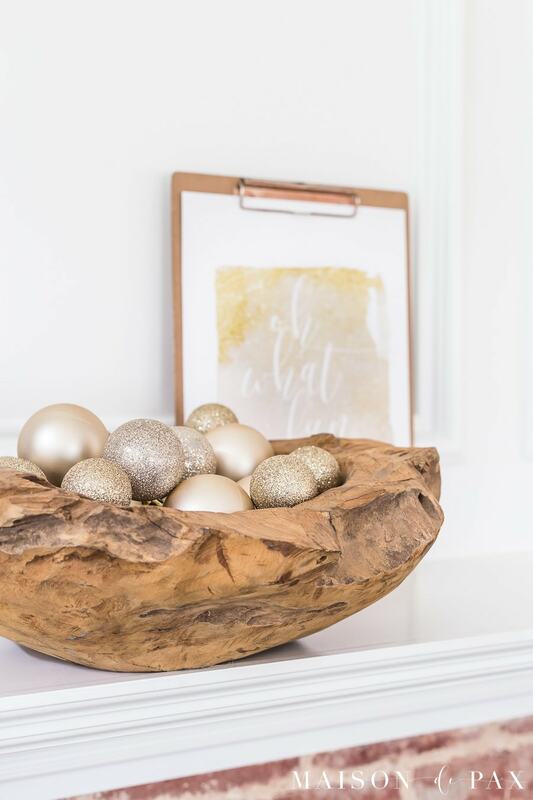 And if you’re not quite ready to decorate for Christmas (there’s still one more major holiday before that, after all 😉 ), then just pin it for later! Now even more exciting, Ella Claire Inspired has again gathered together an amazing group of bloggers all sharing free holiday printables. You’ll find more printable art, gift tags, wall hangings, candle covers, and more! Thank you these are so very lovely, have a wonderful Happy Thanksgiving with your family. This is perfect for a girly Christmas. I’m all about the sparkle at Christmas! These are so cute! These are stunning, thank you for sharing! 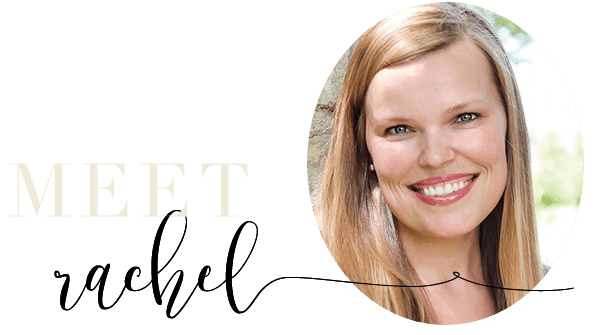 These are SO pretty, Rachel! 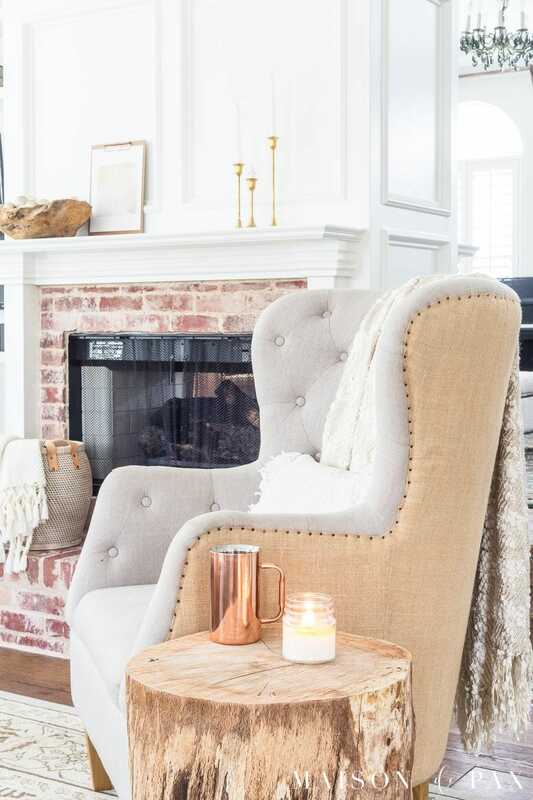 Love blush and gold together. How pretty and I love the sparkle. Thank you so much! And I found the most wonderful packet of metallic cardstock paper with metallic finish on both sides-Laser, Inkjet, Copier( 24 count) with lovely pale colors called White Gold, Champagne Pearl, White Silver and Chalice Silver. They were at Walmart, no less! They look fabulous printed on these.